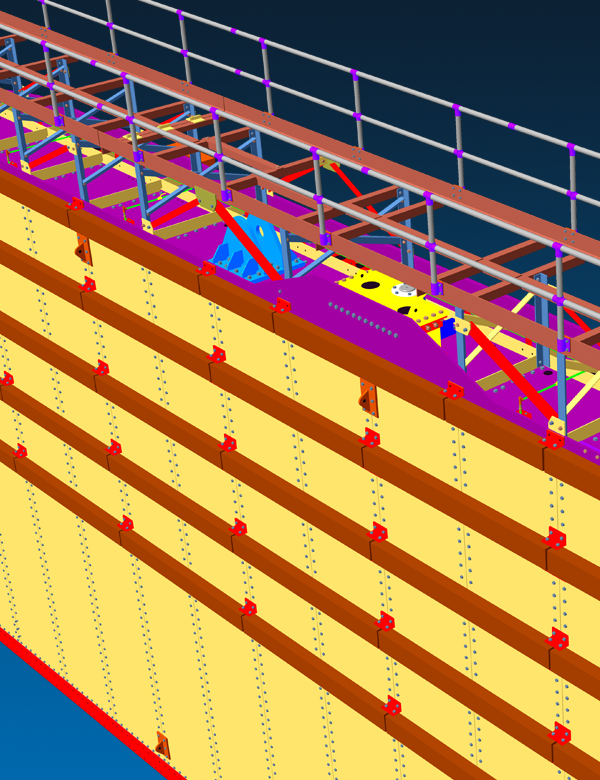 The highest level of automation and intelligence available in 3D steel detailing. 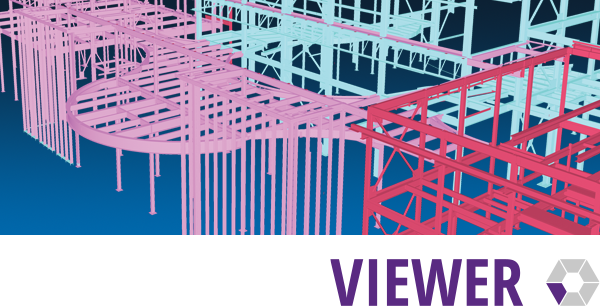 View and navigate through the 3D model and all 2D drawings. 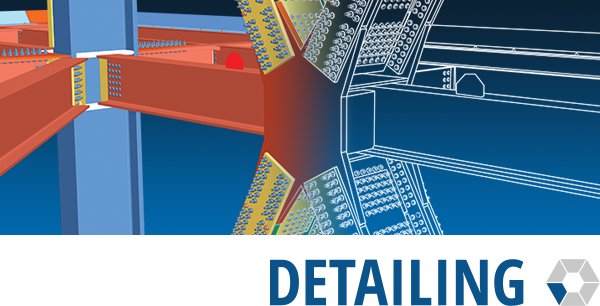 Software designed specifically to meet the needs of fabricators. Facilitates the approval process through the model. 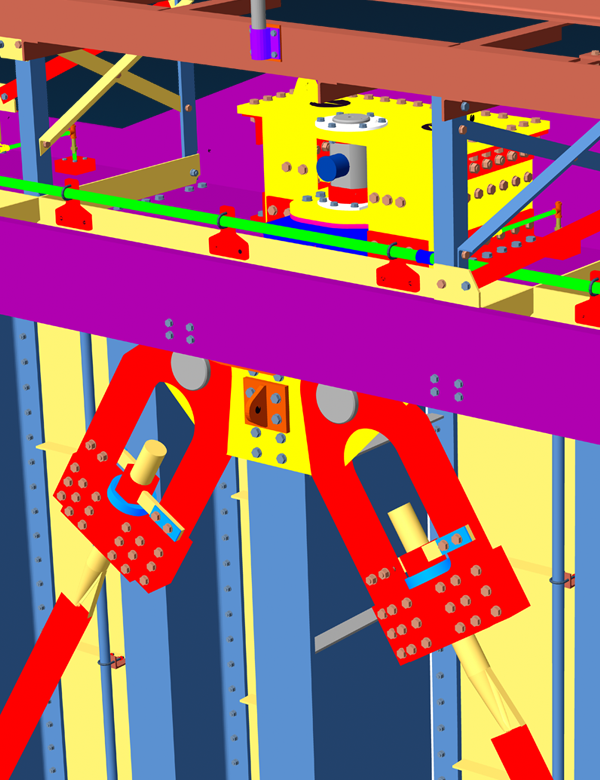 Allows coordinators to view all steel project info & access the native 3D model. 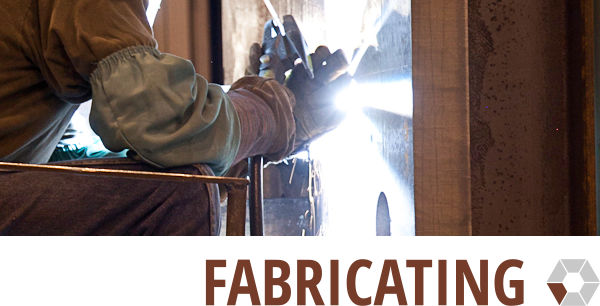 Chariton, Iowa-based Johnson Machine Works, Inc.'s portfolio includes not only structural steel fabrication for commercial buildings, but heavy fabrication projects as well. 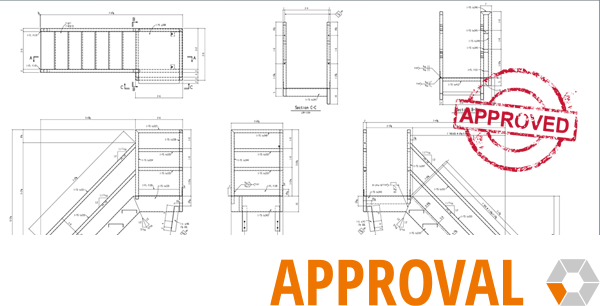 Those projects typically consist of fabrication with tight tolerances, machined surfaces and machined components. 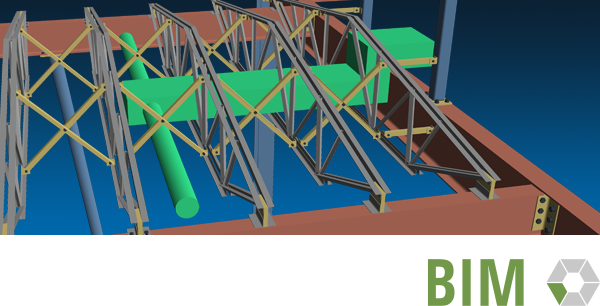 The company's work on the Lock 11 and Lock 14 miter gates on the Mississippi River and miter gates on the Illinois River Iowa highlights some of these specialties, and showcases the flexibility of SDS/2. The miter gates were shipped to the Mississippi River as subassemblies to be assembled on barges. The U.S. Army Corps of Engineers has recently redesigned the miter gates to be bolted to the greatest extent possible, allowing for replacing worn or damaged parts, when necessary. The miter gates are mostly identical, except for differing heights: 17.5 feet, 23 feet, 25 feet, 27 feet and 30 feet. There are also differences for the miter gates, depending on which river they sit on. Mississippi River gates have a bubbler system which forces compressed air through a piping system down into the water to keep the gates free from ice during the winter months. Mississippi River gates also have wood fenders (bumpers) and a fixed handrail system made up of aluminum brackets and set screws. Since the Illinois River does not typically freeze, the gates for it do not require a bubbler system and the fenders are made of HDPE (high density polyethelene). The Illinois River guardrails are made to allow the rails to fold over with the removal of a bolt. A gate consists of two leafs, each containing between 3,500 and 4,500 bolts; about 90 percent of the bolts had to be tensioned to the proper tension in the field using the turn of nut method. 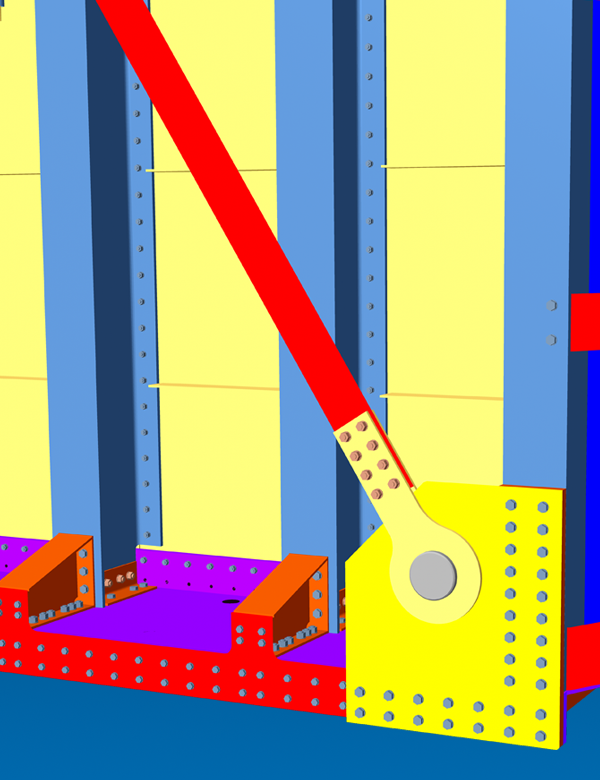 Using SDS/2, the company was able to cut the time required to model and create drawings by more than half.